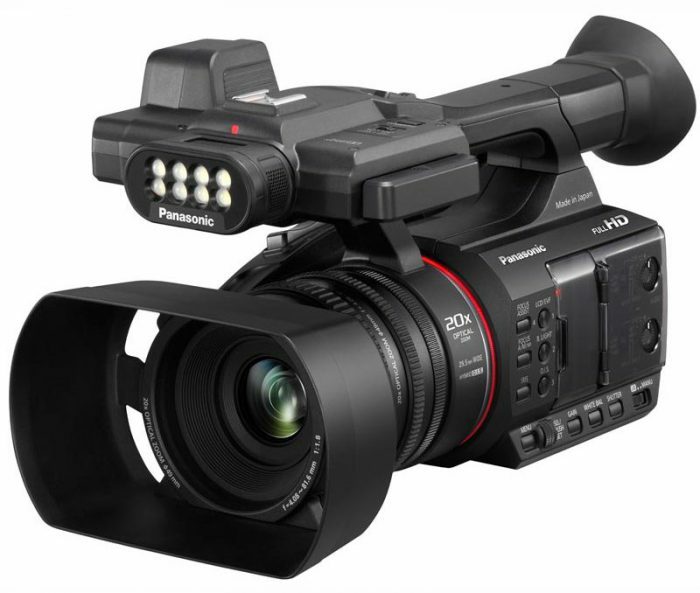 The new Panasonic AG-AC30 is a Full HD compact handheld camcorder with a 20x zoom lens with three independent rings for maximum flexibility and control, dual XLR pro audio inputs, a 50Mb/s on-board codec and a built-in LED light. The lightweight design will help those video producers looking for a small footprint and versatility. Apart from the obvious unique features such as the built-in LED in the microphone assembly, which by the way can be a life-saver as you now have a decent light source for on-camera ENG work even if you forget to pack you on-camera LED top light in your camera bag, the AG-AC30 features 5-axis hybrid image stabilisation allowing users to get smooth shots even when going handheld in fast moving situations. Dual XLR inputs enable users to get pro audio quality by using professional-spec, high-performance microphones for recording high-quality sound. 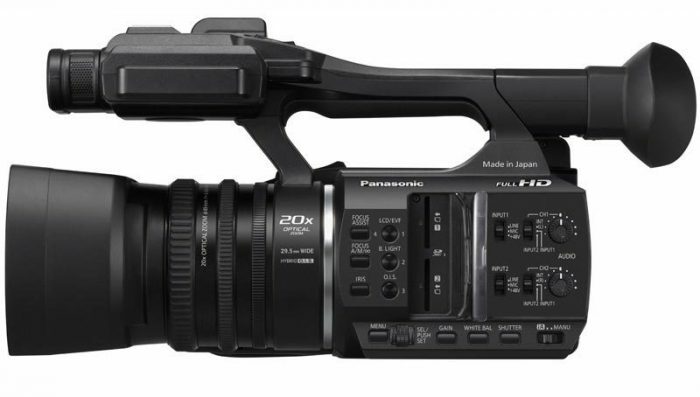 To make things even more convenient, Panasonic's engineers have placed one of the XLR inputs at the front of the camera and the other one at the back. 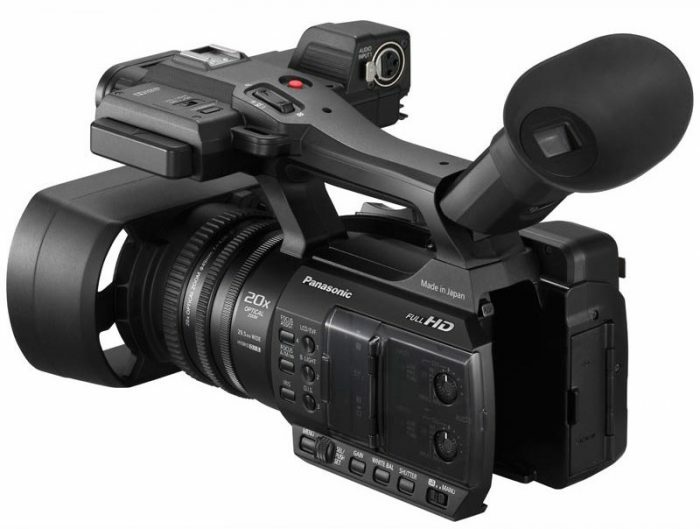 The Panasonic AG-AC30 also takes advantage of longer recordings thanks to the dual SD card slots. The retractable LCD screen has touch screen functionality and serves as a high-definition, 460K-dot monitor and menu-setting touch panel. When not in use, it slides into the handle front for extra mobility and safety. The LCD panels also rotates 270 degrees vertically for easy high-angle, low-angle and self-interview shooting. The Panasonic AG-AC30 is also packed with pro monitoring features such as Focus Assist Functions (Expand, Peaking, Area Mode Function) and also sophisticated Professional Assist Functions. Pricing for the UK has not yet been finalised, but we expect this camcorder to be quite affordable and also available sometime in August. We'll update you on the price as soon as we can. To place your pre-order or for any other Panasonic needs get in touch with our Sales Team at 0208 977 1222.